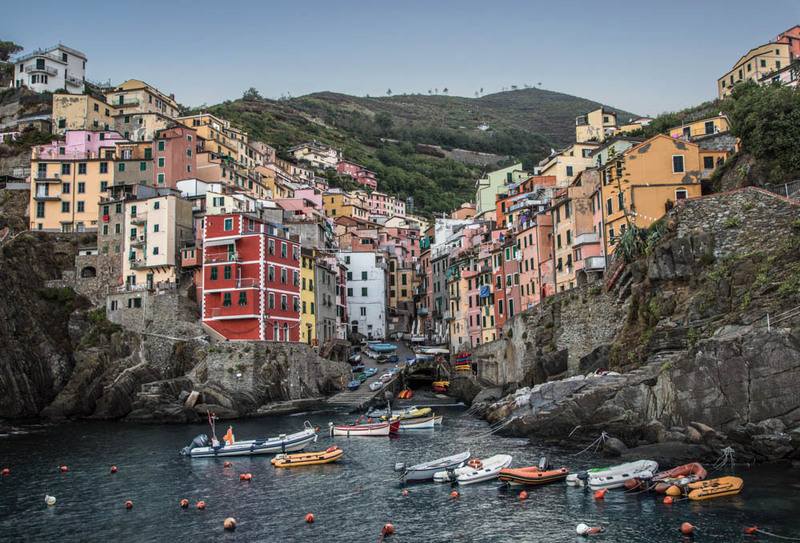 Five magical villages nestled into the rugged coastline of the Italian Riviera make up the Cinque Terre. 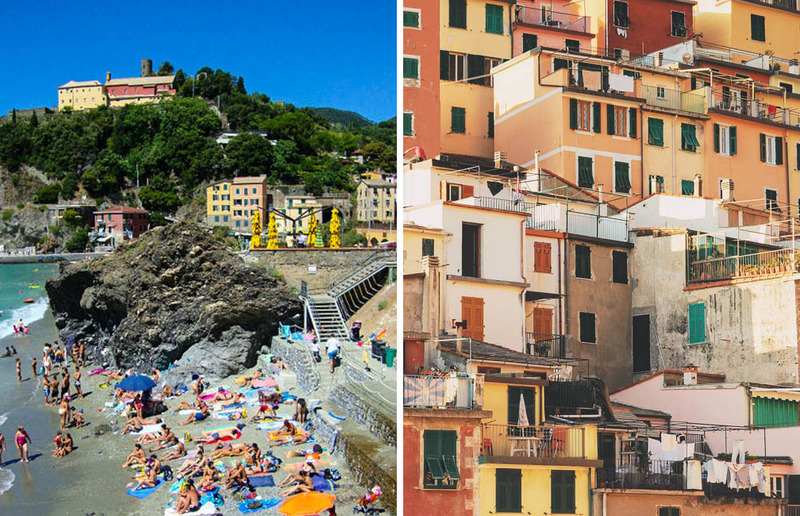 If you’ve never heard of this place, there’s a good chance you’ve seen pictures of the colorful seaside towns as they are often featured on the front cover of Italy guidebooks and fill the pinterest boards of Italian wanderlusters (like me!). Whenever people ask me where to visit on a trip to Italy, Cinque Terre is usually high on my recommendation list. 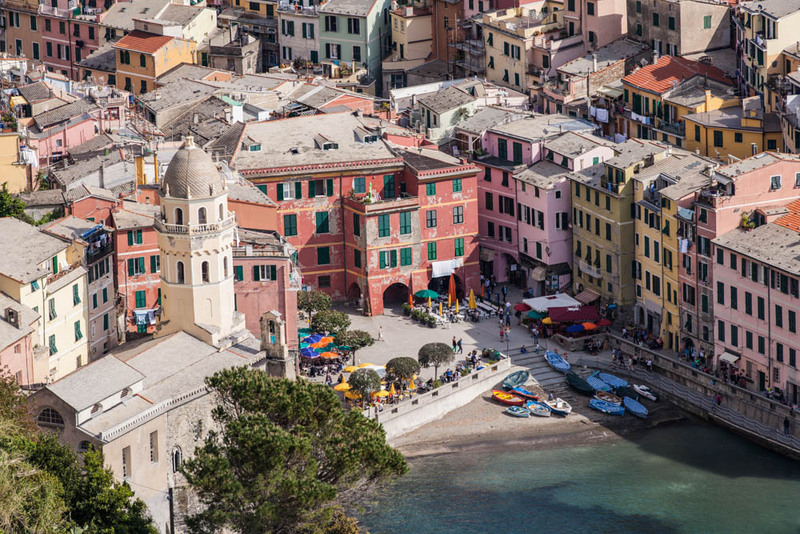 While still part of the Italian Riviera, these villages have a more rugged feel than their fancy neighbors (like Portofino), but that’s what makes them so unique and so visitor friendly. If you love hiking, picturesque seaside vistas, and incredible food, then this place will not disappoint. Each of the five villages has its own distinct feel and personality, so it’s fun to slowly make your way through each town and decide which one you love the most. The popularity of these towns have caused serious overcrowding issues. I’ve heard it can be shoulder to shoulder during busy season. This is definitely worrisome as you hope the popularity doesn’t harm this beautiful part of Italy, not to mention that crowds never make for a great vacation experience. I hear that the Italian government plans to limit the number of tourists allowed to visit each year, so when planning a trip definitely do a little research as to whether there are any visiting restrictions in place. With this in mind, planning a visit during the off season may be the best way to experience the villages at their finest. The Five Villages are typically numbered 1-5 in the order from La Spezia, where you pick up the local trains. The first village and the perfect place to start your hike through the five villages. I remember there being a strong fisherman vibe in this town and a bit more gritty feel to it. This is said to be the oldest of the five villages as well as the most romantic. 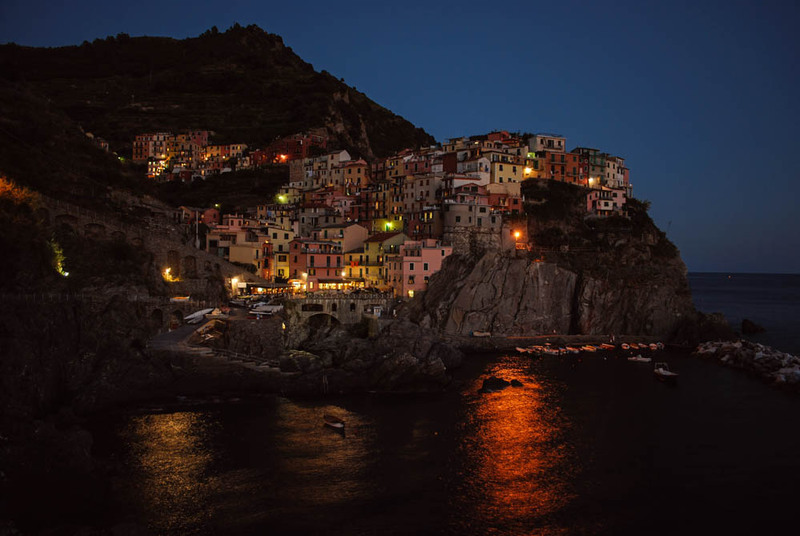 The hike from Riomaggiore to Manarola is known as the “lovers walk” and is best timed during sunset. There are vineyards in the hills above town as well as a wine trail that provides fantastic views of the town and seaside. This village is the only town without a harbor directly on the water. This isn’t a strike against the town, however, as its higher up location provides fantastic ocean views. Be prepared for lots of stairs if you’re staying in this town (actually be prepared for lots of stairs in EVERY town!). This was my home base for three days in Cinque Terre, so of course it quickly became my favorite village! There is a lovely harbor to swim in and jump off of rocks. There is also a nice wide promenade with shops and restaurants to enjoy. 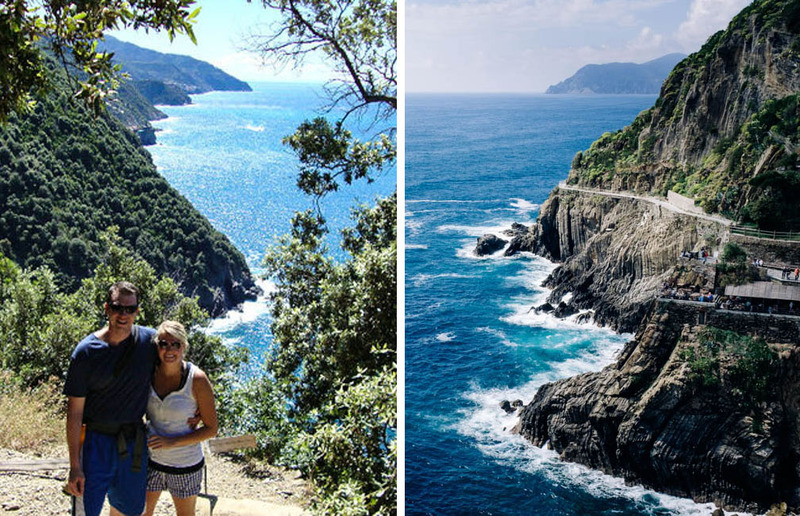 The first hill after Vernazza has one of the best photo opportunities on the hiking trail. In my opinion, Vernazza shouldn’t be missed! The last village of Cinque Terre has a resort feel to it. The town is much larger than the others and there is a paid beach if you’d like to get your sun tanning on. This town also has the most restaurants and shops to explore. The villages can be difficult to access. Some visitors only come for a day trip and some spend an entire week, but no matter how long you have, I don’t think you’ll regret the effort needed to get yourself to this spectacular part of the world. 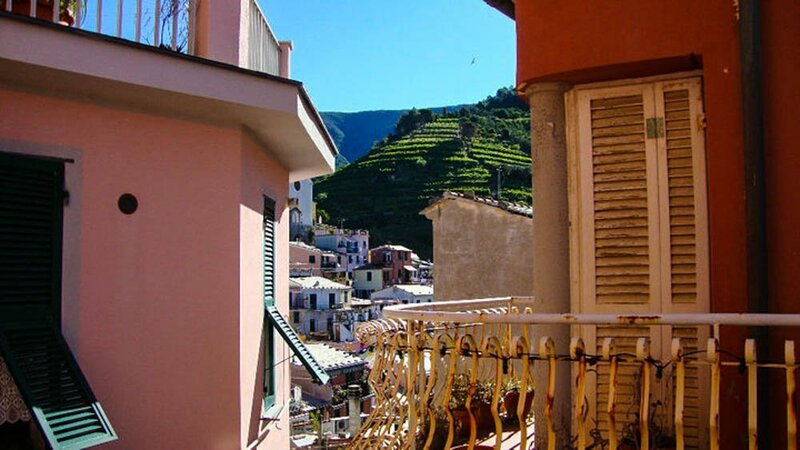 We took the train up from Rome to La Spezia and from there caught a local train to the first village, Riomaggiore (the local train then connects all five villages if you don’t plan to hike between each one). The local trains were pretty inexpensive (only a few euros). I hear driving can be difficult, but it is still doable if you are willing to park further out of town. In addition, many visitors come by ferry boats. If you’re staying in a nearby town taking a day trip in can be a good option. 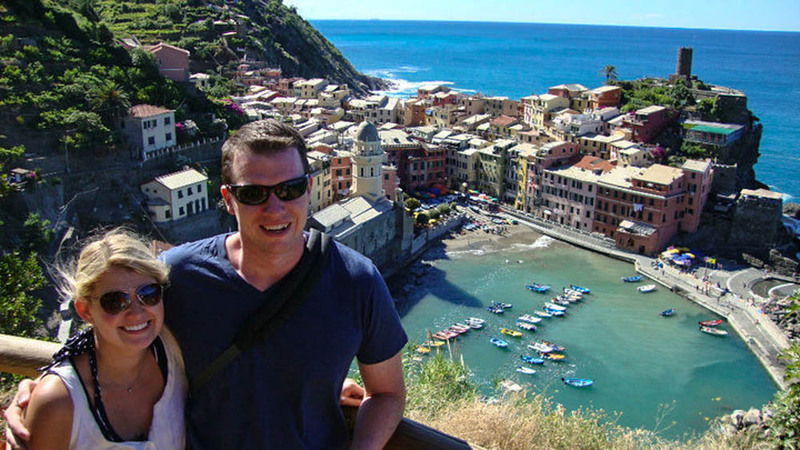 My brother stayed in Portevenere during his visit to Cinque Terre and rented a boat to come into the towns. 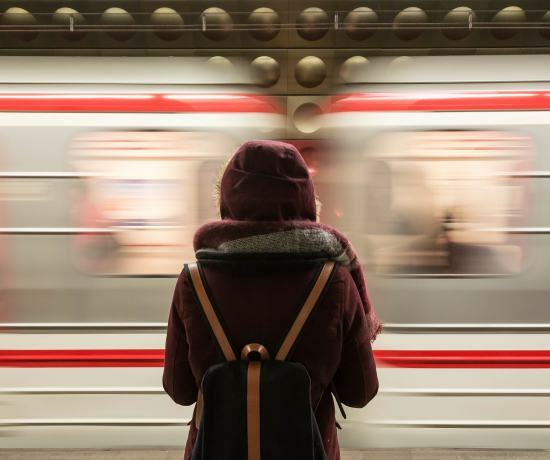 This worked great for him and his wife as they were able to skip the hassle of the trains and crowds. This region of Italy invented pesto, and like most food in Italy, it is to die for. So on your list of things to try should include: pesto, pesto pizza, pesto pasta, pesto bread sticks, pesto focaccia bread, oh did I mention pesto?! In other news, the focaccia bread is amazing too. I even ordered it for breakfast it was that good – so salty and soft! Did I mention their local wine is fantastic as well, not to mention all the fresh seafood. Good thing you’ll be hiking because this is a food-lovers paradise! The hiking trails are amazing and a great way to make your way through each village. 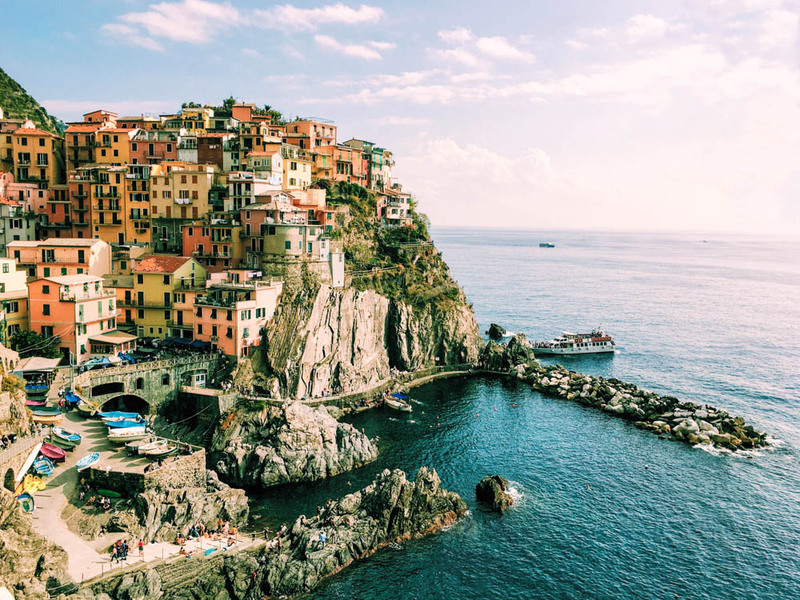 Along the way you may want to join the locals cliff jumping in Manarola, sun bathe under an umbrella in Monterosso, or hire a boat to get a new perspective of the village or to enjoy a sunset on the water. Don’t forget to linger at a café or two, indulge in gelato, and try the local wine. 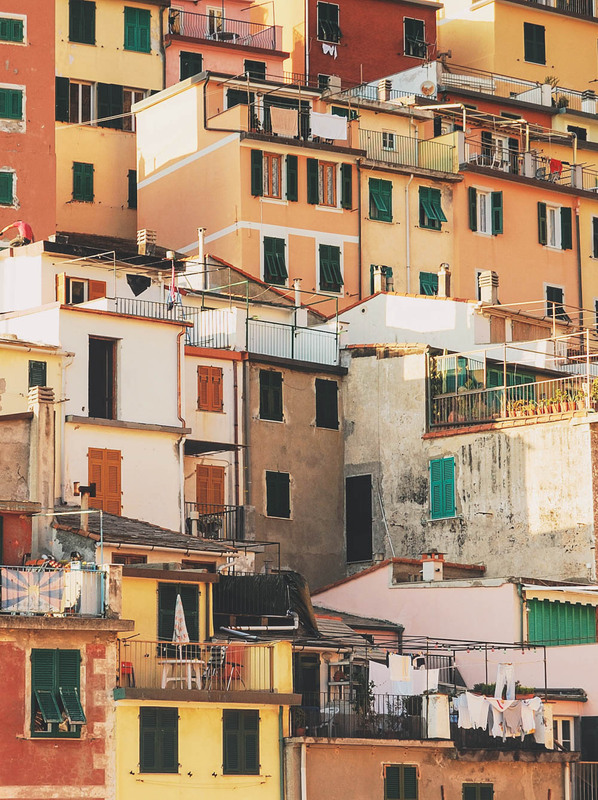 Have you been to Cinque Terre? I’d love to hear your recommendations! Cinque Terre is definitely on my bucket list! The photos are just gorgeous – I can’t imagine how wonderful it is in person! Hi Rachel! Yes, it is such a fantastic part of the world!!! Hopefully you’ll get there soon! I love all of your pictures! I visited Riomaggiore and Manarola and hiked between the two of them and the views are absolutely phenomenal.